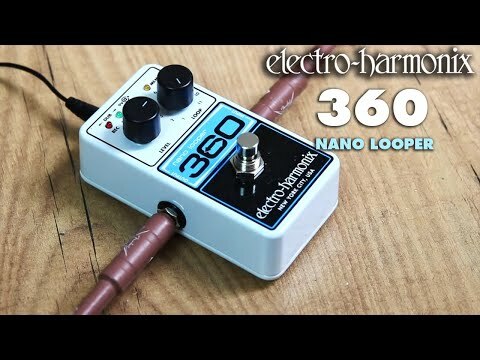 The Electro-Harmonix Nano Looper 360 is a small, extremely easy to use looper with a total of 360-seconds of loop recording time. Not only that, the available 360 seconds can be divided into 11 different Loops, so you get the most out of the available memory! You can think of the Nano Looper 360 as your very own "Loop Locker." The user-friendly layout makes recording a loop, overdubbing, undo-redo and erasing a loop quick and easy and the Nano Looper 360 also feautres a silent momentary footswitch. With uncompressed audio, 24-bit A/D/A and 44.1kHz sample rate the Nano Looper 360 delivers high quality sound and unlimited overdubbing with no degradation in fidelity.